Like quite a few of my crafty colleagues and friends I'm heading off to the NEC soon after meeting up and staying with a very good friend who's also joining me. 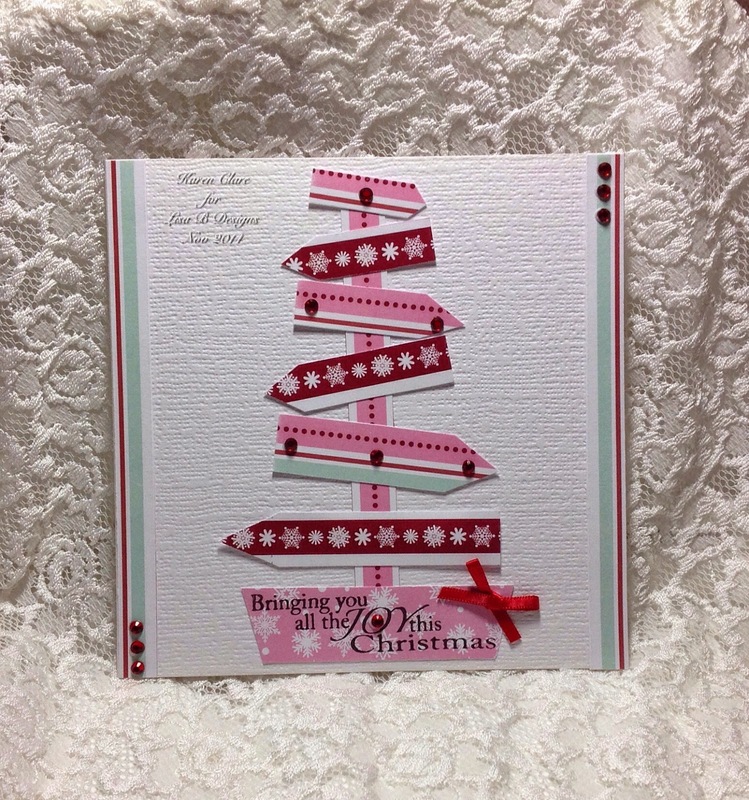 Today I have this quick and quirky tree card to show you. Hobby House Let it Snow Collection. The idea for this was generated by needing to do an ultra quick make due to time constraints. I recently purchased the Anna Marie This Way for Christmas stamp and suddenly thought I could use the striped paper for a similar design. So I cut the strips and cut to a point on one end then stuck these to a further main strip that represents the main trunk. I stuck the completed tree on my card base and added a further strip to both the card edges. Ribbon Bow and the card was complete. Thanks for looking today, your comments are always very welcome thank you. Have a good day and I'll be back here the same time next week. 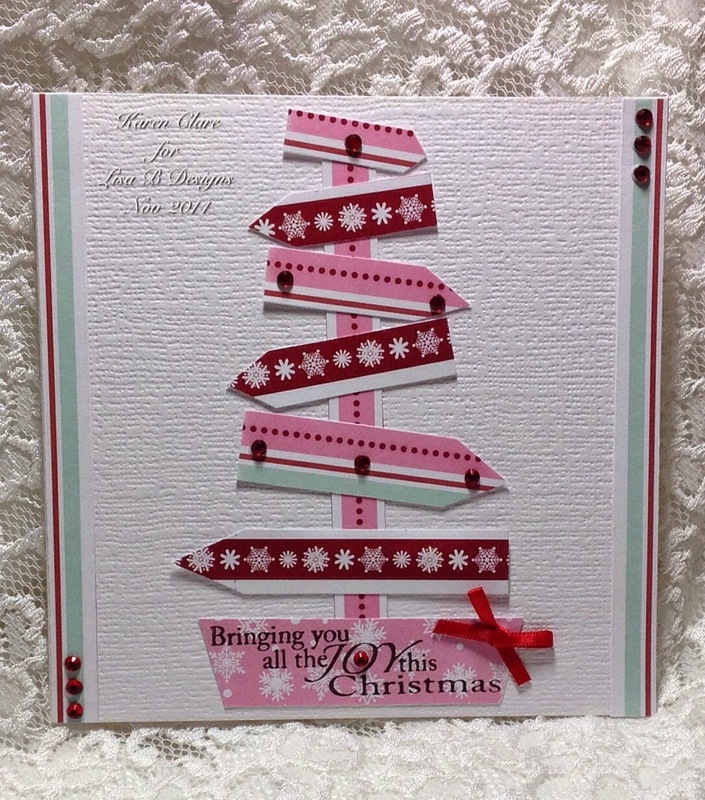 Lovely card, it is always useful to have ideas for all those scraps. 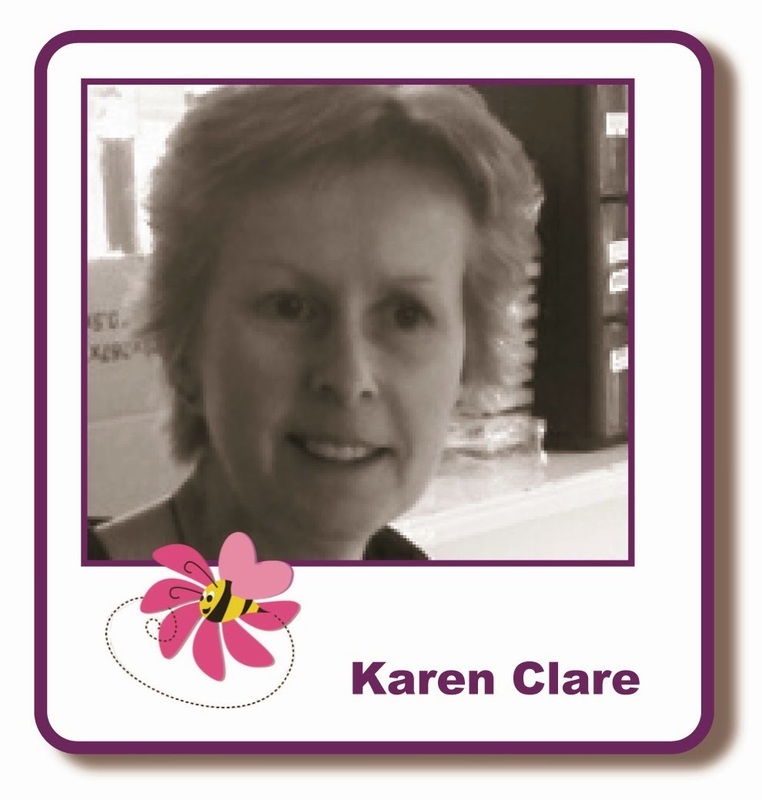 I hate to throw out all those bits of pretty card and paper.